"Hitler has lost his best chance"
After war was declared in September 1939, eight months passed before any major fighting occurred in France. This period of inactivity was known as the 'Phoney War' in Britain and the Sitzkreig' ('Sitting War') in Germany. 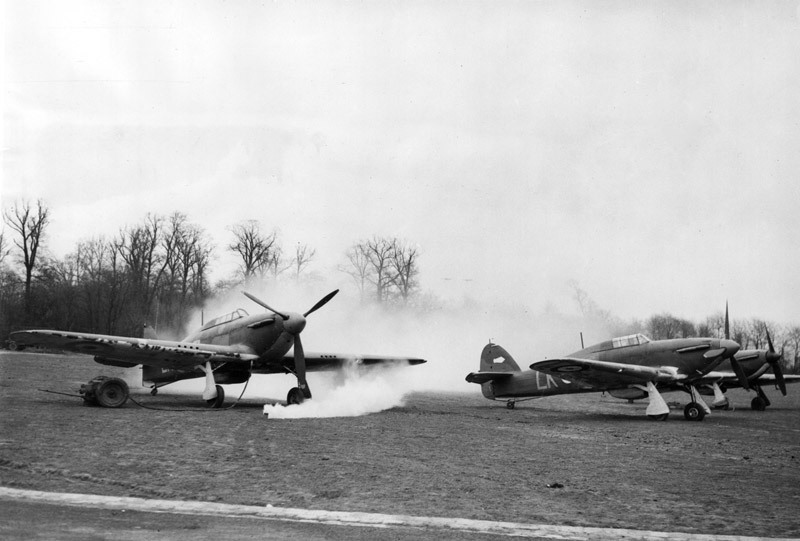 The British Air Forces in France consisted of two separate formations. The Air Component of the British Expeditionary Force (BEF) went to France to support the British and French Armies. Bomber Command formed the Advanced Air Striking Forces (AASF) to operate from airfields in France. With RAF light and medium bombers based in France this brought them within range of German industry. However its ten squadrons of Battles and two of Hurricanes were held back from this strategic aim and instead spent the first few months largely supplementing the work of the Air Component. The war in the air began slowly. 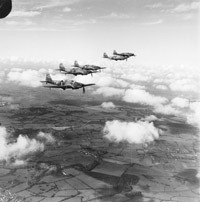 Aerial reconnaissance and fighter patrols resulted in a number of aircraft being shot down but neither side carried out any bombing for fear of reprisals. Fog and snow kept many aircraft grounded during the winter. March and April saw the increase in aerial combat. The 'Phoney War' offered both sides a breathing space in which to prepare their land and air forces for the approaching onslaught of the spring. It also gave both sides the opportunity to assess their opponents' capabilities. 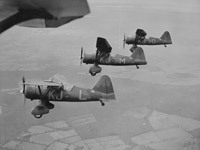 Fairey Battles represented the RAF's best light bomber at the time. Sadly they were obsolescent and in 1939/40 were woefully inadequate.